The varsity basketball team began the season with the Rose City Roundball Classic Tournament and the 77th Annual Beverly Hills Tournament. Led by Head Coach Jamal Adams ‘90, the team finished with a 3-1 record in both tournaments, leaving the team with a 6-2 overall record. After losing on Dec. 1 against Pasadena High School 54-80, the Cubs went on to play John Muir High School for their final game in the Roundball Classic Tournament. Loyola was up by only five points at the half and managed to win with a score of 69-65. The Cubs finished third overall in the tournament, and junior shooting guard CJ Jones was an All-Tournament selection, averaging 15 points per game throughout tournament play. 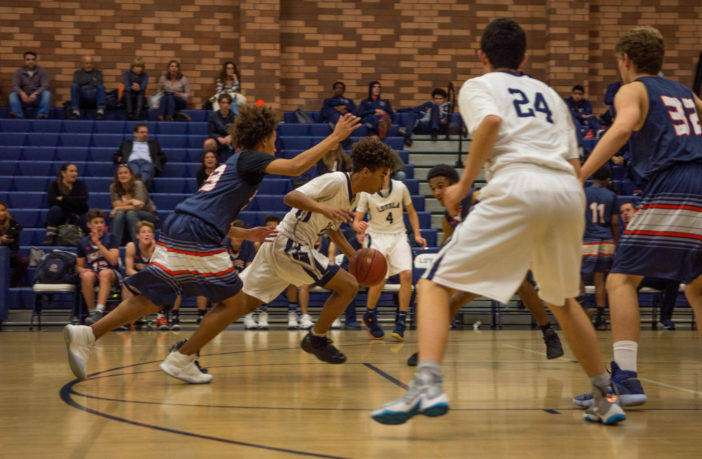 On Dec. 5 the varsity basketball team played North Hollywood, and although they were trailing by two after the first quarter, the Cubs gave up only four points in the second quarter and were up at the half 21-17. The Cubs ended up winning 59-47. The next day the team played Santa Monica High School. The game was extremely close, and the Cubs were never more than five points behind at the end of each quarter. Loyola ended up falling to Santa Monica High 59-61. The Cubs’ next game was on Dec. 8 against George Washington Prep. The team won 77-62. Junior guard Neil Owens was the highest scorer for the team with 18 points. The performance was Owen’s second 18 point game of the season. The team’s last game of the tournament on Dec. 9 was against Van Nuys High School. The Cubs broke out to a 21-point lead in the first quarter and won 81-40. The Cubs will resume playing at the Sand Dune Classic, hosted by Saint Ignatius High School, in San Francisco on Dec. 27. They will begin the tournament against Monte Vista High School, a team that has won three sectional titles in the last five years.